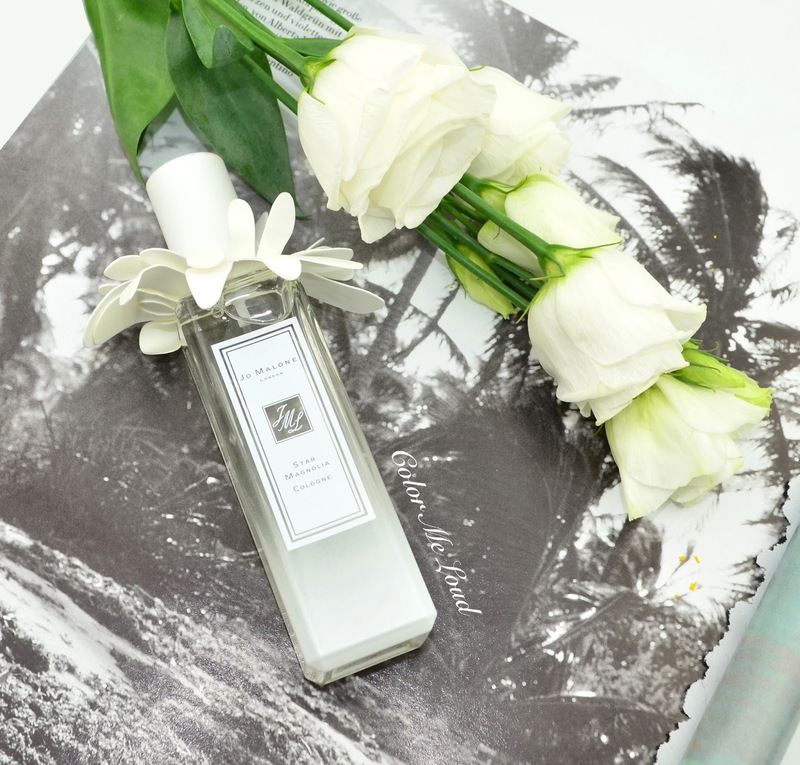 Having a Jo Malone London blast, hence right after writing about Bloomsbury Collection, I would like to share my thoughts with you about the new limited edition launch Star Magnolia that will be released in the beginning of May. It is a very different direction than the boozy woody and very heady fragrances of Bloomsbury, Star Magnolia is a lovely soft floral like an ocean breeze on a summer day. You can find my thoughts and more information about this release right after the jump. Jo Malone London Star Magnolia is going to be launched in May and the collection includes 100 ml and 30ml flacons of the Cologne as well as a 50 ml bottle of the Hair Mist, all of the products are limited edition. The heart of the fragrance, which gives its name, are the flowers of Magnolia Stellata, a type of magnolia native to Japan that is known to be growing very slow and is reported to be a distinct species. The bottle has a color graduation from clear to white and there is a lovely white accessoire inserted right under the white cap that is made of a very thick paper. All together it looks very pretty. I am digging white for this Spring/Summer and hence here is a combination I am loving, on nails I have YSL Nail Polish #80 in Blanc Arty from their Spring Collection although I don't recommend it due to its streakiness. It needs three coats to look decent. Do you love white nails as much as I do? My hubby is crazy for them *giggles*. Alright back to the fragrance shall we? Star Magnolia has a fresh citrusy opening that isn't sweet nor spicy. A few minutes later the heart slowly starts to reveal the soft white floral that has a very distinctive quality but projection is very low key and it stays very soft throughout the phases of the fresh bloom all the way to the lightly woody dry down.It is a fragrance you can apply during the hottest day and you can be sure that it doesn't get heavy nor too much. Magnolia isn't also as heady a white floral as jasmine. The fragrance reminds me of Sakura Cherry and Plum Blossom (reviewed here) that are my go to fragrances for hot and humid days. The lasting power is not as good as the fragrances I got from Bloomsbury Collection but the concept is different, all together much feathery and fresh, for those who like a touch of freshness and not too much of a statement that could turn heavy during the summer months. Final thoughts: Jo Malone London Star Magnolia is a very fresh and feathery floral for the upcoming summer months with a soft heart and slightly woody dry down. Loving the white and pretty bottle. Available in May as Cologne and Hair Mist. What is your go-to summer fragrance for very hot and humid days? Disclaimer: The product in this post were provided free of charge for my consideration. Well, I am a big bore when it comes to fragrance. Any time I try a modern synthesized fragrance, I usually hate it, and want to scrub it off my arm with the exception of some of the Chanels, like the new #5 eau. I have some vintage Kiehl fragrances from early days and they were truly to die for. Will probably last me to the end of my life. And I also have enough vintage Diorissimo to last me a few lifetimes which is what I begin wearing from Spring onwards. I also have some vintage Fracas, which I like. But it's still interesting to read your descriptions!